Weezer played a secret show sponsored by AXE at the Dunes Inn Motel in Hollywood on Tuesday, and it was sick. The second installment of the AXE Music “One Night Only” concert series was definitively a hit (the first One Night Only concert was a TI show in New York that sounded like a pretty sweet time as well). The Weezer show featured an open bar, free food, celebs and a chance to see a great live band in the intimate setting of a motel courtyard on Sunset and Western. Khloe Kardashian and Lamar Odom were there (Odom looked bored as hell, but hey, way to support the band, Lamar). Vanessa Hudgens, My Chemical Romance and the big guy from LOST were also in attendance. 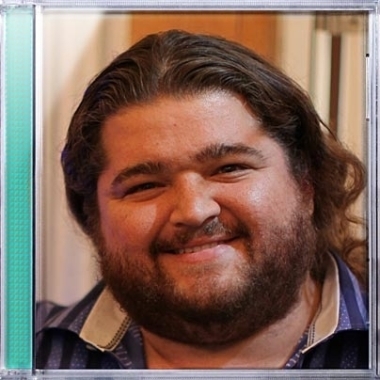 Jorge Garcia (aforementioned big guy) had his face selected by Weezer for their new album cover, Hurley. Jorge got to introduce the band and even did a number with them on stage. AXE puts on great events, and this was no exception. The line outside was massive, but once people got in, they were treated to free drinks & snacks, great music and good energy. You can’t ask for much more than that on Monday night in Hollywood. Weezer – Jorge Garcia Intro and Hash Pipe – AXE One Night Only – MANjr.com from Chris Stout on Vimeo. Weezer – Say It Ain’t So – AXE One Night Only – MANjr.com from Chris Stout on Vimeo. Weezer – Surf Wax America – AXE One Night Only – MANjr.com from Chris Stout on Vimeo. Weezer – Undone-The Sweater Song – AXE One Night Only – MANjr.com from Chris Stout on Vimeo. Print article This entry was posted by Chris Stout on September 23, 2010 at 6:10 pm, and is filed under Entertainment, News. Follow any responses to this post through RSS 2.0. Both comments and pings are currently closed.